Hemingway’s self-importance led him to believe he’d ruined Pamplona. In 1925 Ernest Hemingway stayed in Pamplona on his third of nine visits to the festivals of San Fermines. The 1925 visit was of particular importance as it spawned the events that would shape the oftentimes-autobiographical novel, The Sun Also Rises, which you may also know as Fiesta for some reason. In the novel, and you should read the novel, Jake Barnes aka Hemingway passes the fiestas in Pamplona with his friend, Robert Cohn aka Hemingway’s pal Harold Loeb, and Cohn’s ex-lover Lady Brett Ashley, aka Loeb’s ex-lover Lady Duff Twysden. In the novel Lady Brett Ashley spends the fiesta having a grand old time hopping from bed to bed, which serves as a warning to never go on vacation with a novelist if you want your extra-postcode promiscuity to stay on tour, as it were. One wonders what Ernest would think of the most recent claims of there being 1,000,000 San Fermin participants. Whether he’d truly appreciate the level to which his snooping and reporting had transformed the city and festival that he’d loved. 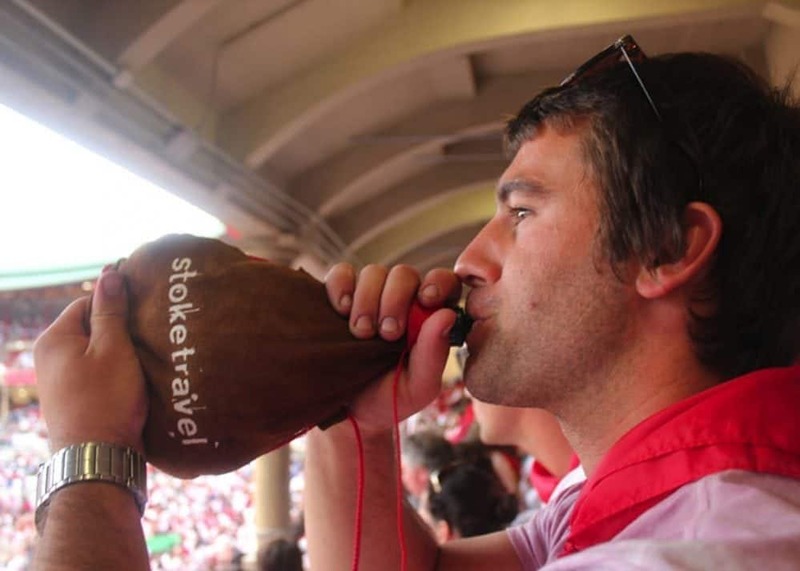 In any case, in 1961, during the week of San Fermines, Ernest Hemingway ruled out ever re-attending the fiesta by putting a shotgun in his mouth and pulling the trigger. But the thing that Hemingway failed to realise in 1925, and especially in 1959, is that the fiestas of San Fermines are and have always been greater than him and his depiction of them, and are indeed immense even compared to the deluge of visitors that have followed in Ernest’s rugged boots. San Fermines is a celebration for the people of Pamplona and Navarra (and Basque Country, depending on how you define these things) and maybe Spain (refer to the previous aside). Saint Fermin himself is often explained as being a Pamplona-born religious man who was martyred in France for Christianising the heathens, although there is no historical proof of this ever occurring. Never letting the truth get in the way of a good chance to party, the story goes that a part of the beheaded Fermin was brought to Pamplona and to this day the locals celebrate in his honour, with the runners appealing to his divine intervention to save them from particularly harrowing encounters with the bulls. For their part, the bulls have been running through these streets for hundreds of years, simply as a way to transport them from the farms to the arena where they are given a very slight chance to survive being slaughtered in a bullfight. As the bulls would run through town, local youths would dash in and around them in order to prove their bravado and perhaps to convince a young maiden to break her vow of chastity for them. The bullfights were a feature of the San Fermin festivities, and as time went on the Bull Run went from being a bunch of pesky kids interfering with bovine transportation to the main event. The Bull Run, and especially the bullfight, are not as ubiquitously popular in Pamplona and greater Spain as you would think, with opposition to the tradition increasing in recent years, particularly among young people. 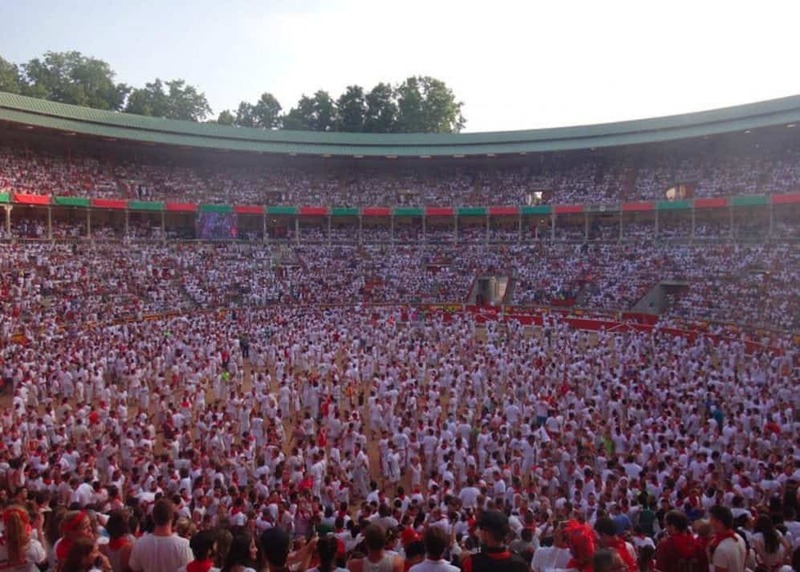 Your author chooses to attend San Fermines for the dancing in the street and the merriment and the food and leaves the bull stuff alone, a move that would doubtlessly draw the ire of the unimpeachably macho Hemmingway. Nevertheless, if it wasn’t for that womanising, brawling, heavy-drinking wordsmith, and his obsession with this hyper-masculine test of bravery, Pamplona and its fiesta wouldn’t be on the world stage, and indeed perhaps my personal love affair with the Spanish street party would never have born fruit. For that, Ernest, I thank you for ruining Pamplona for yourself.